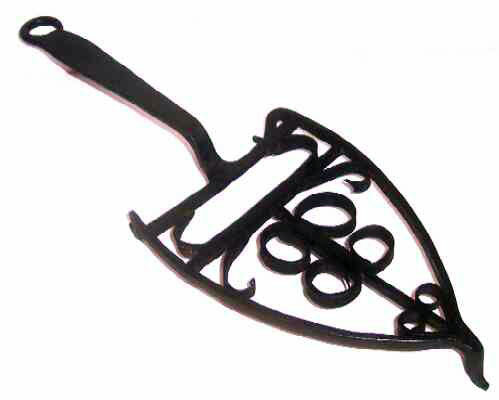 Early American Trivet (1650-1700). All hand forged ornate iron. Made from 3 pieces of wrought iron . . . 1 for the handle, 1 for the crosspiece, and the third makes all of the rest: the frame, including the feet plus the interior decorative curlwork. Created by a notably talented blacksmith and well preserved for its age! 14-1/2" x5-1/4" x 1" high.